As the Fourth Industrial Revolution is progressing in various fields, Kobe University Center for Mathematical and Data Sciences was founded on 1 December 2017 with the purpose of promoting data innovation in Kansai region, the country and overseas. The Center will foster human resources that create innovation and lead data-driven society, and implement advanced researches and production utilizing partnerships with corporations and local governments in our society. Data science is based on mathematics, statistics and programming and expected to generate solutions to problems and produce new values in various fields by utilizing AI technology and Big Data. Big Data is said to be the fossil fuels in the 21st century. The fact that the world’s top five valuable companies are all global IT corporations is well-known to the public. Meanwhile, data science is a relatively new academic subject. It is expected to produce new values through the coordination of expertise of mathematics, statistics and programming technologies, however its direction is yet to be determined. Developing new values and academic system, with the help of leading corporations in science field and universities at home and abroad, is desirable. 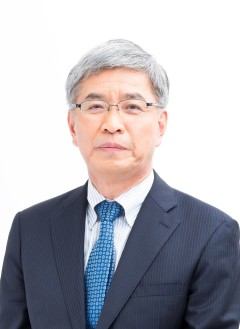 The Center is aiming for open innovation involving inter-organizational relationship with many other people outside the university by expanding possibilities of education and researches and developing a platform to implement university-wide mathematical and data sciences education and researches, with the help of academics, staff members and students at Kobe University. We appreciate your generous support and cooperation and look forward to working with you.